That's it simple. Just remove the old backup file with different sector size. "OriginalValues cannot be used for entities in the Added state"
This could arise because missing column or inserting null value or column width exceeding in insert statement. Based on your Error Message you can take corrective action to rectify this. 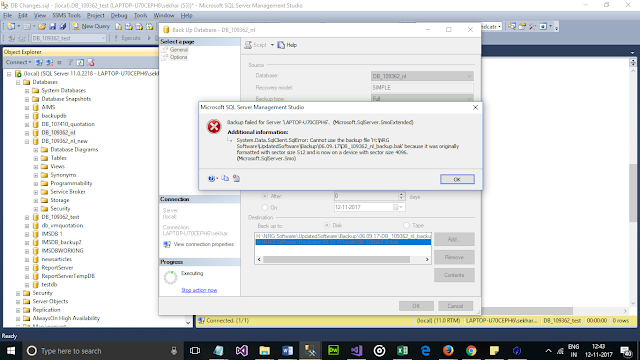 Hi, Recently i encountered this error after publishing an application to winhost server. It is an mvc application using visual studio 2017 , targeted framework is 4.6.2.
when i run locally its working fine. But here problem is winhost doesn't allow csc.exe to run which is roslyn compilation. When we create a web application either webforms or mvc using .net framework 4.5 > then project is pre installed with roslyn csc.exe compilation. although it was successfully published to hosting environment, but some servers doesn't allow to run that roslyn compiler. 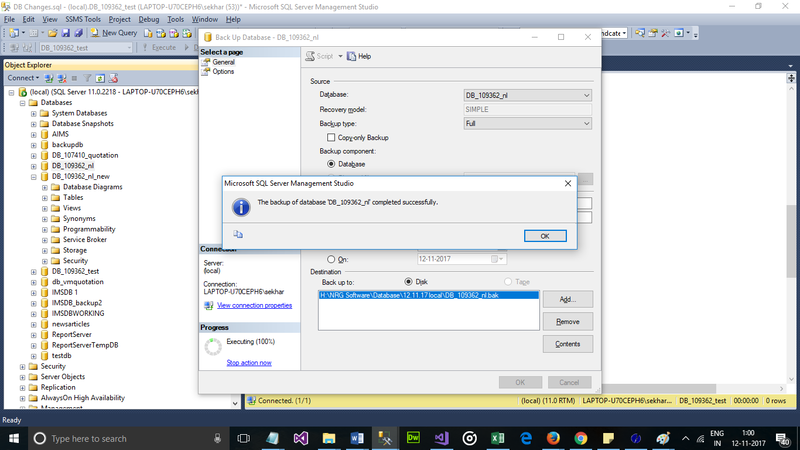 Here solution is just compile and deploy project without any roslyn or any csc.exe files. 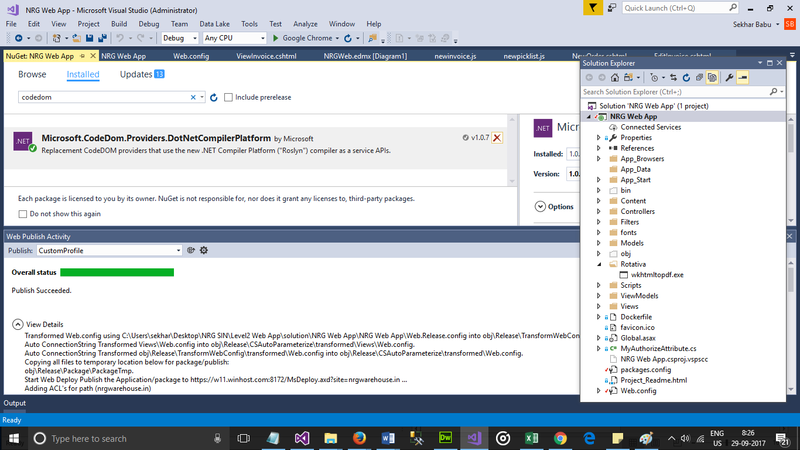 just go to Nuget manager, find the package Microsoft.CodeDom.Provider.DotnetCompilerPlatform , uninstall it. Now rebuild and re publish, then this problem gone away. In some hosting environments we have option to allow or run csc.exe files, just change that setting or allow read/write to exe files, it get's fixed. Hope it can be useful to some folks. Problem is i have been running the application 5 hours plus time, without stopping in local. 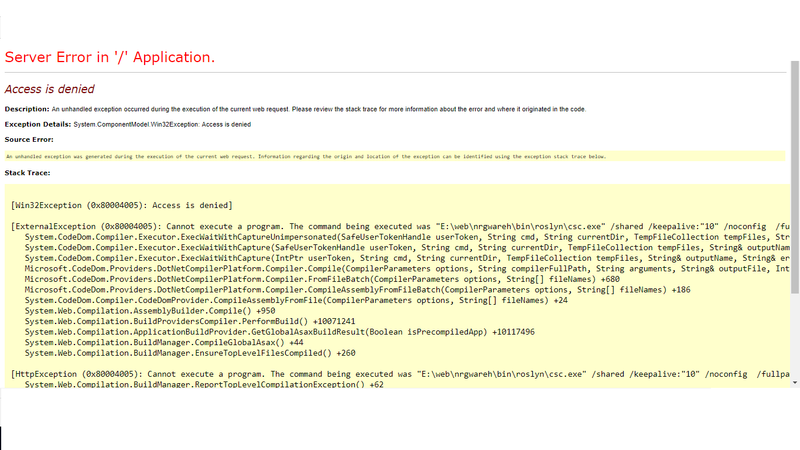 Then when i try to view edmx file, encounter this exception. 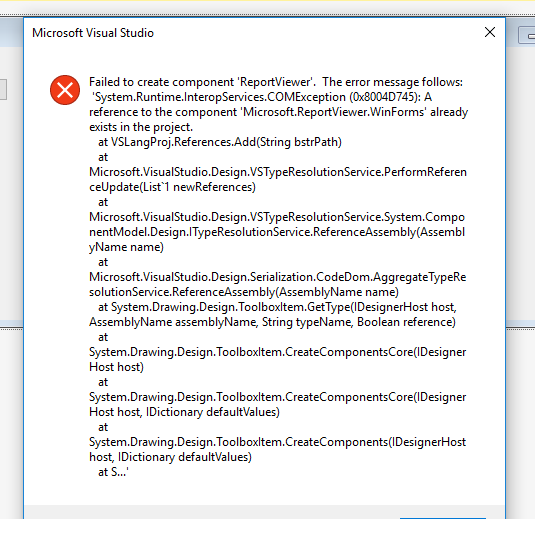 To stop this exception just reload the project so that all objects gets created again and available to view. When an application is running idle for hours, it is better to reload that project. You don't have to delete obj and bin folders. But for different situations it may work. 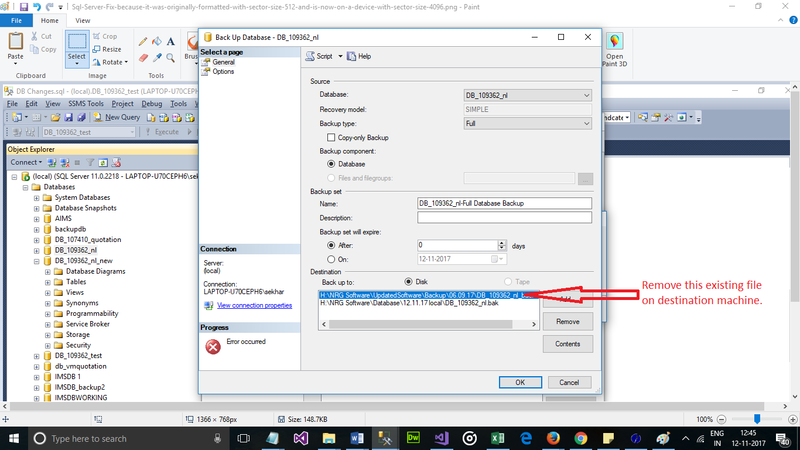 Possibly when this exception encountered while in working in designer mode by simply reloading project, you can remove that exception. Problem is project reference is enabled for version 10.0.0 for report viewer but toolbox is adding 11.0.0.0 version. Solution: just add the System.ReportViewer.Winforms 11.0.0.0 version remove 10.0.0.0 version. You will get these kind of designer errors when you migrate to higher version. Just check the references added to project properly. 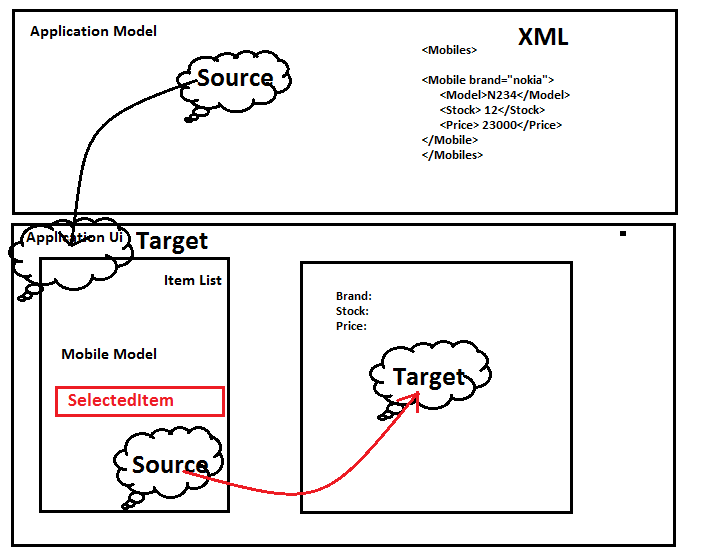 In this article i will explain How to bind XML Data to Application UI in WPF. What are the different ways to specify the XML Data to Applicaiton, How to bind the xml elements to UI in wpf etc. In wpf for accessing xml data in your application you can use XmlDataProvider Class. This class provides declarative access to xml data for binding. XmlDataProvider Class provides three ways to access XML Data. You can embed inline XML Data within the tag inside XmlDataProvider Class. You can use Source to specify the Uri of the XML file. You can use Document property to specify the XmlDocument as binding source. One Important property of XmlDataProvider Class is XPath which defines the level binding source in XML file. 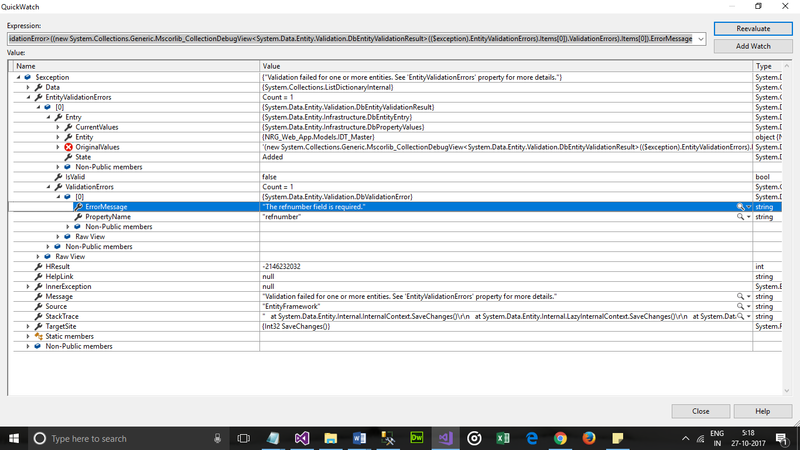 If you see the XAML code XML Data is embed with in tag. This XML file has root element as Authors and child element Author with two attributes name and age. XPath=*[@age>25] will returns the Authors whose age is greater than 25. In this way query against Data. In this example i am loading main root elements i combobox, based on the combobox selection ListView is loaded with the Model, Based on the selection in ListView then Brand Price details will be shown. Download SourceCode for More Clarification. I hope you got some basic details about accessing xml data in wpf and bind it to UI. Don't forget to Comment and share it for our friends if you like this post. Thank You.